Tashi is a little nomad boy who has grown up in a valley of the towering Himalayas. 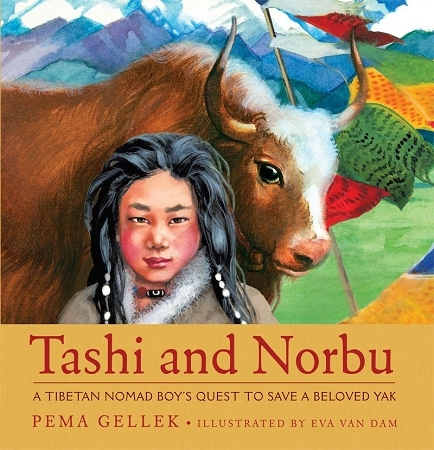 One harsh winter, he learns his best friend Norbu, a most unusual yak, is destined for slaughter. He embarks on a high-altitude adventure to save Norbu, and along the way, learns the meaning of friendship and the preciousness of all life. This is the hardcover version.